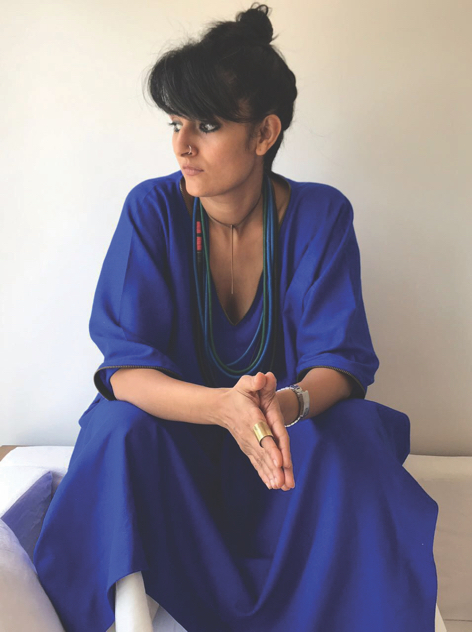 Payal Khandwala launched her eponymous label in 2012. Her approach to clothing is much like her art (www.payalkhandwala.com) The prism with which she sees fashion is therefore distinctive, she treats dressmaking as simply a shift in canvas. She orchestrates colour and textures to create layered separates that are dramatic yet minimal, with subtle attention to detail. Her muse is an intelligent, non-conformist woman. A woman with a refined sense of luxury, and one that will not sacrifice her comfort for it. As a philosophy her clothing is about relaxed timeless style,a spirited attitude and a relentless need to express one's own individuality. Her background in Fine Arts and Fashion coupled with her cultural influences, growing up in Mumbai, schooling in New York and Barcelona, give her an inimitable perspective. Her sensibilities intuitively marry these references to create an aesthetic that is global but with an inherently Indian soul. The clothes are made with love in India using handwoven silks, khadi, cottons and linens in a palette that is rich and soaked in a tradition of colour.